Molagootal is a popular traditional dish of Palakkad Iyer's. It's a blend of pigeon peas/toor dal/thuvaraparippu, coconut, red chillies and combination of one or more vegetables such as ashgourd, bottlegourd, cabbage, carrot, beans, spinach, potato, . . . . . . long list!! 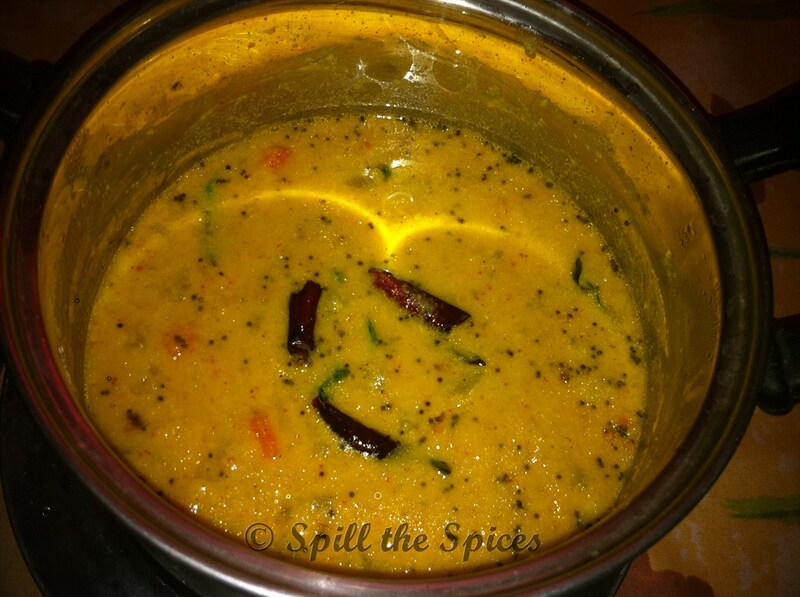 The best accompaniment for this mild curry is a spicy coconut chammanthi or rasam. I prefer Molagootal over Sambar or any other South Indian curry b'coz its easy to make as its uses less ingredients, less time and tastes yummy with white rice. 1. Add 2 cups water to the washed toor dal. Over the dal, add the vegetables and turmeric powder. Pressure cook the dal and vegetables. Dal and vegetables should not be overcooked. 2. Grind together coconut, jeera and red chillies to a smooth paste adding little water. 3. In a vessel, add the dal, vegetables, ground coconut paste and salt. Mix well and bring them to a boil. Boil for 5-6 minutes and turn off the heat. 4. In a tadka pan, heat oil. Add mustard seeds, urad dal and red chillies. Once it crackles, add curry leaves and pour into the molagootal. I too love molagootal the best. Curious to know if you are from Palakkad?